Abe Cohen Plumbing and Heating Inc. is who you need to call for residential toilets in Ahuntsic, Baie D'Urfe, Beaconsfield, Bord du Lac, Cote Saint-Luc, Cote St-Luc, Dollard des Ormeaux, Dorval, Downtown, Hampstead, Ile Bizard, Lachine, Lacey Green, Lakeshore, LaSalle, Laval, Mile End, Montreal West, NDG, Nouveaux St. Laurent, Nun's Island, Old Montreal, Outremont, Pierrefonds, Plateau, Pointe Claire, Pointe St. Charles, Roxboro, Ste-Genevieve, St. Henri, Town of Mount Royal, Verdun, Ville St. Laurent, West Island, Westpark, Westmount. We can do both for you. We can quickly diagnose and repair a faulty toilet: from a defective valve (usually replaceable) to a toilet that has simply outlived its time. We can install a "handicap-height" (ADA compliant) toilet (complies with the guidelines of the Amercians with Disabilities Act). 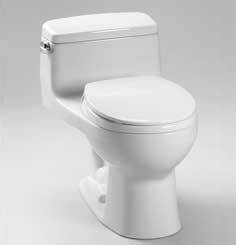 ADA-height toilets are also known as comfort height, universal height, and right height. You may simply want to change your toilet to one that is more comfortable, has more features, or better suits the decor. 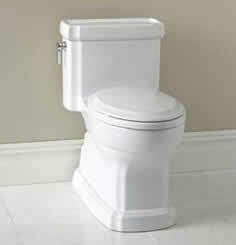 Maybe you are thinking of a low-flow model that consumes less water than an older toilet each time it is flushed! Perhaps you need to repair or want to add a bidet.